Mopane is nestled midway between the border posts into Botswana and Zimbabwe in northernmost Limpopo. But it’s not just the comfy accommodation and warm hosting that compel visitors to journey here – Mopane is the ideal base to explore the Mapungubwe National Park UNESCO Heritage Site. Mapungubwe National Park is huge at 28000 hectares. It’s sandstone formations, brooding baobabs, ancient floodplains and riverine forests support a wealth of animal life. Game includes elephant, buffalo, white rhino, giraffe, gemsbok and other antelope. You’ll find extensive bird life, as well as elusive mammals like hyenas, leopards and lions. Views at the confluence of the mighty Limpopo and Shashe Rivers, where three countries meet, are spectacular. Visit the award winning Interpretation Centre, Mapungubwe Hill and San rock art sites – they bring this extraordinary cultural landscape to life. The shady lapa lounge is comfortable and inviting, decorated with treasures lovingly acquired. Head to the bar and swimming pool, an oasis in the midday heat. 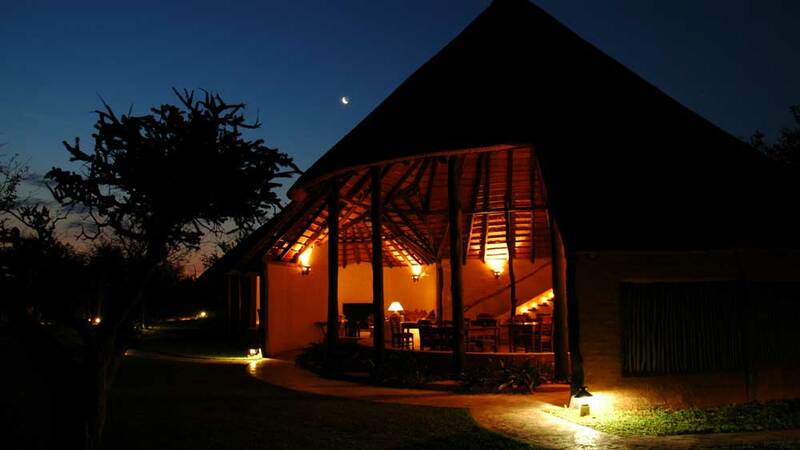 The boma comes alive with firelight and starlight during the al fresco dinners. Mopane is one of the four “Pearls of Limpopo” – The circuit includes Leshiba Wilderness, Kololo Game Reserve and Madi a Thavha Mountain Lodge. Circuit discount of 10% when all four properties booked in combination. Repeat visitors – particularly those seeking a genuine South African experience, rather than a hotel. The “Mapungubwe Experience” passionately and thoroughly interpreted for their guests by Andrew Rae or Paul Hatty. Game-viewing in an extraordinary setting. Birding along the banks of the Limpopo River. San Rock Art and Ancient Bantu heritage. Home cooked cuisine and chilled poolside area. One of the lodges in the game rich Tuli area of Botswana. Four-night packages are available through Mopane inclusive of road transfers on each side of the border. Ideal stopover en route to or from Zimbabwe. 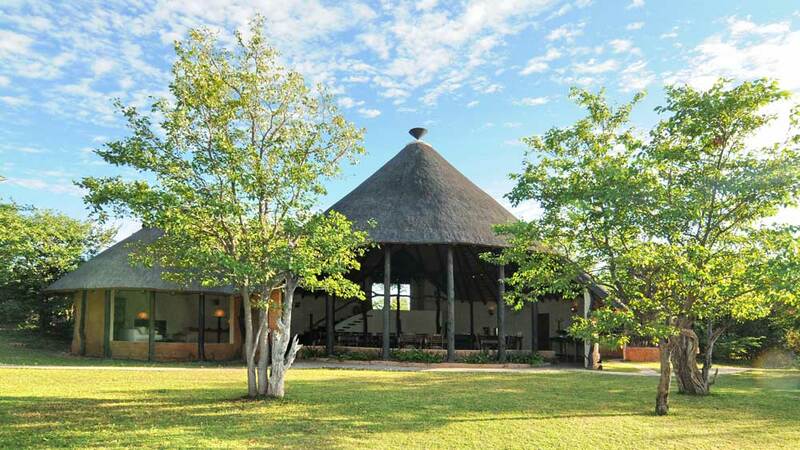 The “birders triangle” combines Mopane Bush Lodge with Mashatu Game Reserve and Pafuri Camp in northern Kruger. As part of the Pearls of Limpopo circuit, the Mapungubwe Route or the Soutpansberg Limpopo Birding Route. Owner run by by the warm and gracious Paul and Rosemary Hatty, guests at Mopane Bush Lodge can look forward to attentive personal service. Affordable rates, superb birding and absolutely the best base from which to explore the unexpected drama of the Mapungubwe Cultural Landscape. Peek at the excellent blog by guide Andrew Rae to sense the deep love and high regard with which the team at Mopane hold for this special region. Amazing place, amazing people A very special place on earth. Passionate hosts, very friendly staff, spacious rooms and great food made this a fantastic experience for us and also our kids who enjoyed the pool and game drives a lot!